Apparel Solutions is a leading manufacturer of quality Flame Resistant clothing. Our focus is on providing exceptional service with quality products and competitive pricing. We function with the highest level of integrity and we never compromise on safety. We are continuously improving our garments through research and development. We always strive to educate ourselves and our customers on the relevant changes in the industry. We are committed to selling products that save lives and improve the quality of the life of a worker in the event of an accident. We are inspired to find stronger and safer textiles through new innovations. Whether you’re a small company, a company with thousands of employees, or a distributor, Apparel Solutions can supply you with all your FR safety apparel needs. Our VP of Research and Development Peter Clark is a member of multiple boards and committees with CSA, CGSB, and NFPA. His involvement with these groups keeps our company committed to people’s safety. It also keeps us at the forefront of changes and revisions of relevant safety standards. Our customer service team can help you choose a product that will provide you with the best protection and value for your company. We can assist you in understanding the rules and regulations that apply within your industry. Apparel Solutions understands how important your company’s image is. Our artwork department will ensure your branding is consistent and accurate every time. Having our own embroidery and silk screening departments allows us to service your branding needs quickly and consistently. Our production facilities in Mexico and Canada can accommodate special size orders and modified styles. We control the production from start to finish. This allows us to be sure of fabric content, production quality and the design specifications. We use only the highest quality tested and certified brand name components. 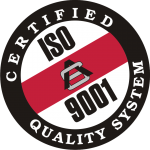 Apparel Solutions is proud to be an ISO 9001 Registered company. We are serious about continuous improvement and understand that on time delivery and quality manufactured products are essential for our customers.